About Us | Aggressive Contracting Inc. Aggressive Contracting Inc. (ACI) has built a solid reputation based on quality craftsmanship, attention to detail, and customer service. For over 20 years along the Jersey Shore, ACI has been a leader in custom home construction and renovations. Our professional team is composed of seasoned contracting professionals who have the knowledge and expertise to execute your project with the highest quality standards. From small kitchen and bathroom renovations to large scale additions and add-a-level projects, ACI coordinates all the moving parts to make sure our construction projects go smoothly and meet our customers’ expectations. Additionally, our custom home contracting services are the perfect way to build the house of your dreams while keeping budgets reasonable. Contact ACI Homes for your next remodeling project, to renovate your home, or to begin the process of building your own custom home. 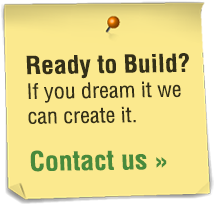 As one of the Jersey Shore’s top builders, we are eager to work with you to see your vision become a reality for you and your family.